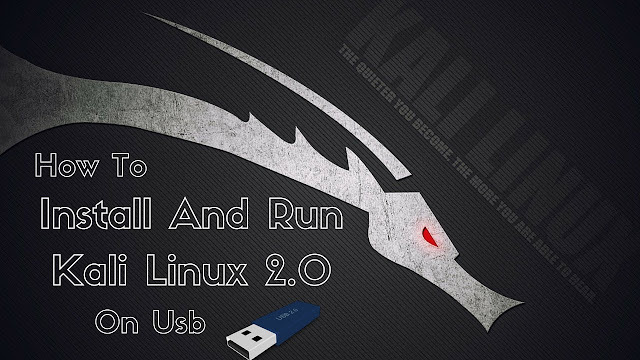 How to make a bootable Kali Linux 2.0 USB with persistence. Persistence means that all the data changes that take place while you are using the system, they will be saved on the usb / pendrive that you Linux is in. ·You take no space of your Hard Drive for it. 1. You Need To Use The Universal USB Installer To Put Kali On The USB. 2. You Need To Partition The USB, to create the partition for the data storage. · Create as: Primary · File System: Ext4 · Partition Label: persistence. echo “/ union”> /mnt/UUI/persistence.conf – Adds a configuration file to enable persistence. umount /dev/sdb2 && reboot Unmount the partition and reboot.